A meat grinder consists of few parts and there is no complicated circuit involved. Almost all meat grinders have simple gears inbuilt. Every meat grinder has a feed tube from where the meat passes and you push the meat with a pushing tool. After that, the meat is brought to the grinding plate and cutting blade with the help of a screw. Augers, stompers, meat trays, blades and grinding plates need extreme care if you want to preserve their functionality and serviceable life. If you are using them with care and clean them after every grind, your meat grinder will last for several years without creating any issues. Today, every kitchen is equipped with many electric appliances to save labor and time while preparing meals. You can also take advantage of a variety of recipes using these kitchen gadgets. A meat grinder is one of the most important kitchen tools that help to impart flavor, texture and freshness to your daily foods. Quite simply, if you buy pre-ground meat from the market, you don’t know what you are putting in your stomach. 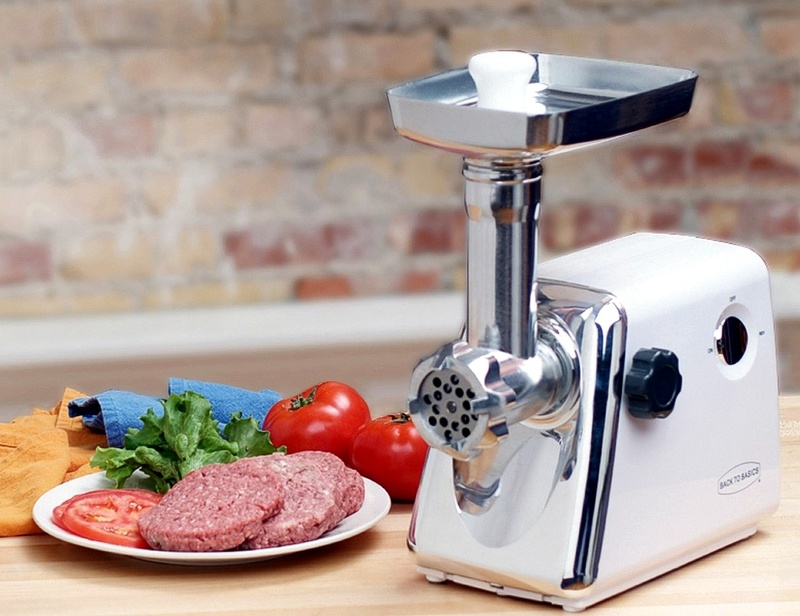 A meat grinder can help you gain control over your diet. Take care, though, to carry out proper maintenance and cleaning. Follow some simple instructions and your meat grinder should not let you down. There are many reasons to grind meat at home. People want to add flavor and texture while taking control of their diet and putting fresh food on the table. If you want to process your meat and make sausages at home, a meat grinder is a wise purchase. There could be chemicals and preservatives in market-bought ground meat and that’s a big no-no which you can avoid with your own meat grinder. Each unit comes with an operating manual which tells you how to assemble it, how to use the grinder, how to clean its parts, how much time you can use it in one session and how to store it. Keep this safe and consult it as needed. If your grinder has a stand mixer attachment you can grind meat with a faster speed of about 6 to 8. Do you want to grind your own meat to get quality, freshness, and required mincing to add flavor in your beverage? It’s not a difficult job to learn how to grind meat. Be aware what you are putting in your stomach and stick with grinding your own meat. You can get a better texture than is available in the market-bought varieties. Make burgers, meatloaf, sausages and other recipes without the risk of food-borne illness or food poisoning. You can appear like a cooking expert if you have a handy meat grinder on your kitchen countertop and follow the simple procedure for grinding meat.